Crossover gets new release V18 with 1000nds of improvements! On October 18, 2018 / Crossover, CrossTies, News / Comments Off on Crossover gets new release V18 with 1000nds of improvements! Great news! Crossover has released a major update a few days back. Which is important for a lot of games to work properly again. If you are not updated yet please do so. You don’t know Crossover yet? Then learn more here… and when convinced use this promo-code: “portingover” to get it here… with 25% discount! CrossOver 18 is based on Wine 3.14, with thousands of improvements for Windows application compatibility. Improved support for DirectX 11 via WineD3D. Support for DirectX 12 via vkd3d and Vulkan. Preliminary support for Outlook 2016 on Linux. Support for Steam in Win 7 bottles. Restored support for World of Warcraft, Overwatch, and Diablo III on Linux. Fixed several bugs impacting the Battle.net client. Fixed a bug which caused Office context menus to disappear. Fixed a bug which caused a corrupt file error in Office 2016 when installed with Internet Explorer. Yes, it’s finally here: Dragon Age Origin for Mac. On many request we have the game finally ported to Mac using Porting Kit or Crossover. The game is massive over 45 GB and is not recommended to play on low-end macs with Intel HD GFX cards but minimum with Intel Iris GFX cards or Nvidia or AMD Radeon with at least 512MB Graphical Memory. Because Dragon Age Origin is a massive game, the installation can take up 45 minutes depending on your system and if you have SSD or HDD in your Mac. I played the game for a bit on my Intel Iris iMac and there it runs very well in all low video settings. I am still optimizing the game, so there might be an update of the port in the near future. If so I let you know on the blog. Now we are adding existing wrappers to Porting Kit anyways, I also added Might and Magic VII – For Blood and Honor to the Porting Kit. 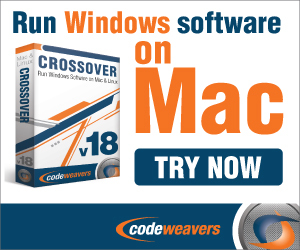 If you own Crossover run the Crosstie here… to install it on your Mac. To experience great adventures, you’ll have to take a step back in time. Might and Magic VII – For Blood and Honor brings back the fantasy role-playing genre with an enhanced game engine and thrilling gameplay. It brings to life a fantasy world replete with fearsome dragons, horrifying monsters and exotic races. This game has everything the experienced role-player desires, including new character classes, skills, spells, magic items and a compelling story that will keep you absorbed for hours on end.